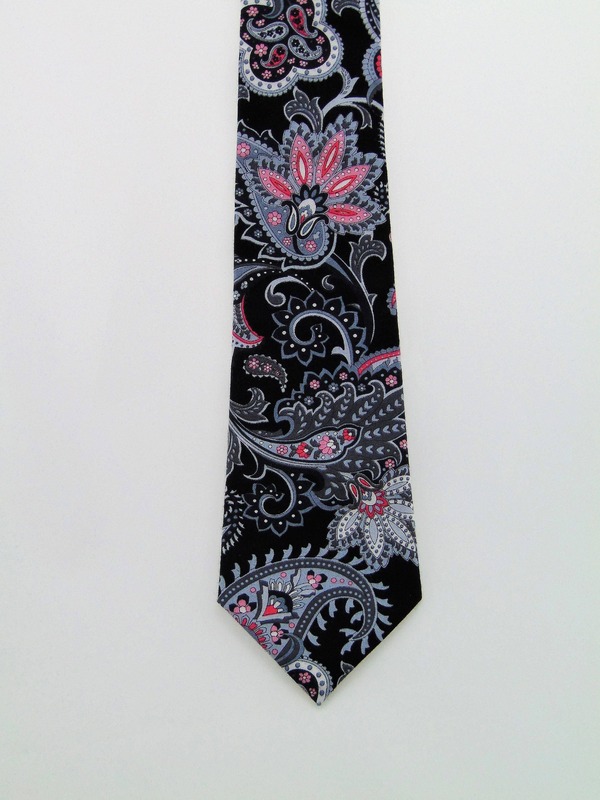 Floral Neck Tie – Mens Floral Paisley Necktie, Also Available as a Skinny Tie and a Extra Long Tie. 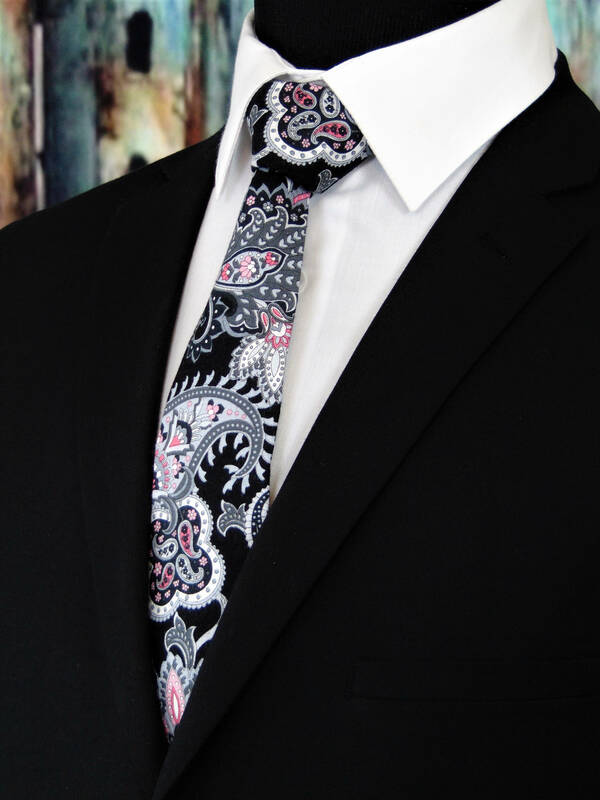 Perfect for a wedding or everyday use. 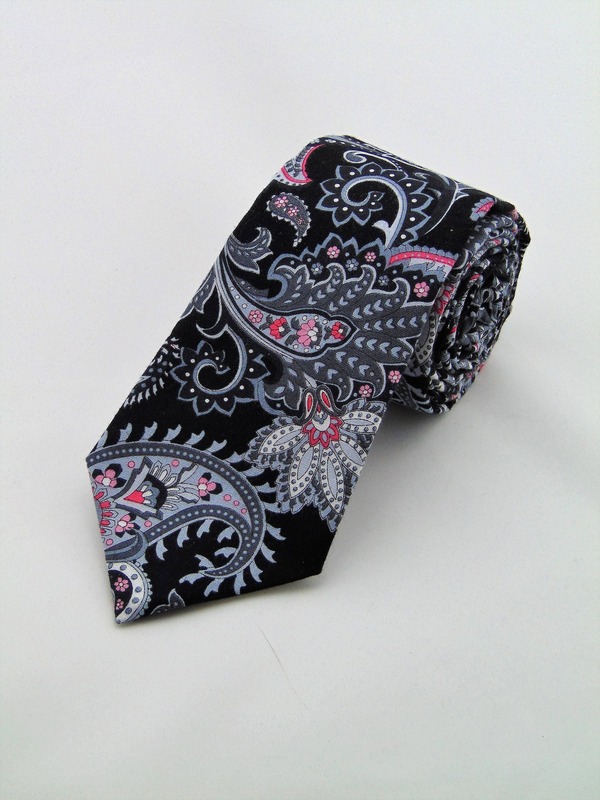 Black background with floral and paisley pattern. 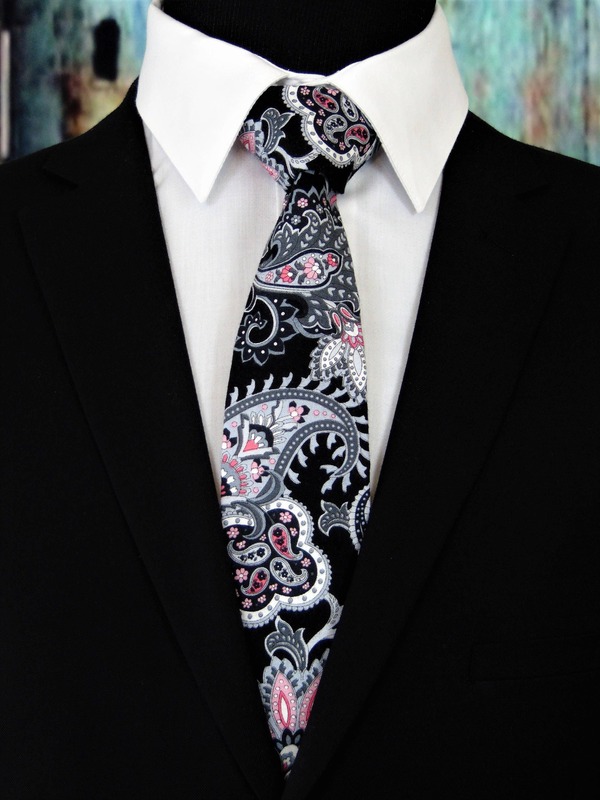 Colors include: black, grey, pink and white. 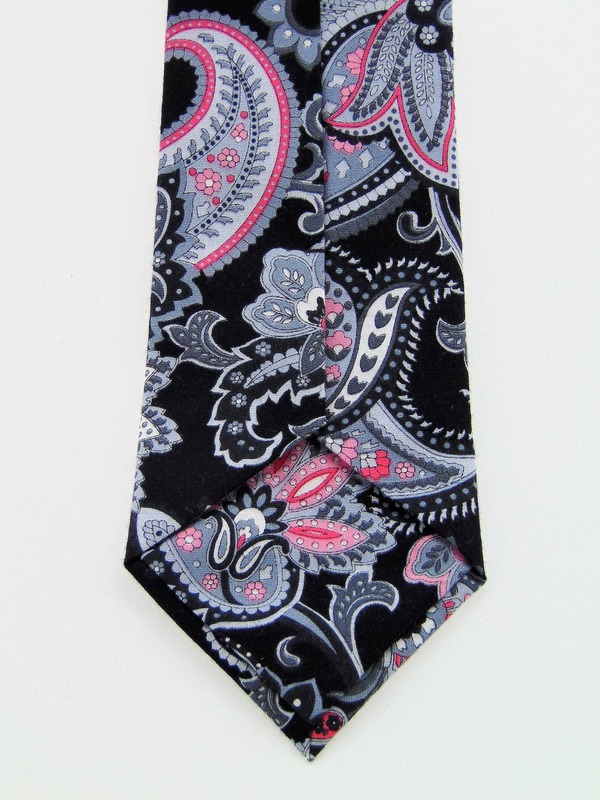 Also available as a skinny tie and a extra long tie.